Whether the prospect of breaking 80 is well within your reach or a distant dream, no benchmark in golf is more tantalizing. And the skills required might just be simpler than you think. There’s no need to hit 280-yard drives, or pure every iron shot, or chip and putt like a tour pro. Chances are, you need to refine your swing and, even more important, think better when you play. 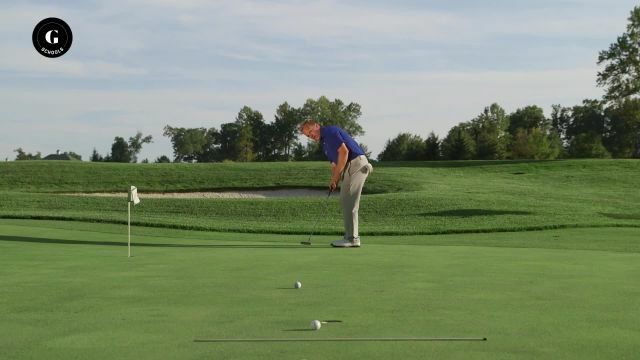 Kyle Morris, a former tour player and now a Golf Digest Best Young Teacher, will guide you through our newest video program: “Your Guide to Breaking 80.” In four long-form video lessons covering all the major areas of the game, Kyle demonstrates the skills that make good players good. Things like developing a stock shot you can rely on to anchor your game, learning to plan for success on drives and fairway shots, and creating a consistent approach to greenside play. He also discusses how to prepare for a round because nothing beats being in an optimal physical and mental state to perform. That’s how you get the most out of your rounds. No reinventing the wheel here, just shoring up your swing and creating better routines when you practice and play. For less than the cost of a single trip to the driving range, “Your Guide to Breaking 80” provides a new blueprint for consistently lower scores.